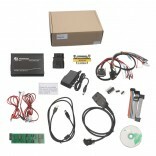 Here you'll find tuner kits that'll let you to reflash, reprogram or tune your cars ECU EEPROM chip (the brain that controls how your car runs). 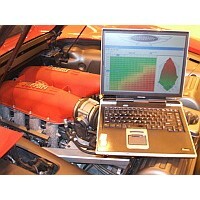 With these tools you can optimize performance and behaviour of things like: BHP, Torque, RPM, load, fuel injection, timing, transmission, etc. 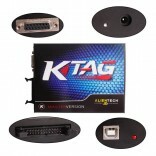 * Which tuner kit should you get? Whichever supports your exact car model/year. So remember to check vehicle support list before buying. 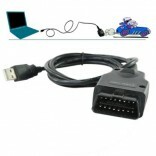 FGTech Galletto 4-Master is a high-speed and secure ECU chip re-reprogramming software/hardware tune..
Galletto 1260 OBDII ECU Flashing Cable/software lets you connect your car to your computer and thro.. 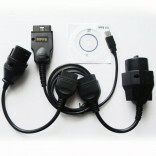 ULTIMATE CAR TUNING In 4 Easy Steps: (1) Plug It In (2) Download Map From Car (3) Edit Map (4)..
KTAG by Alientech is a powerful chiptuning tool that will let anyone (without any chip tuning expe.. 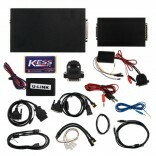 The KWP2000 Plus ECU Flashing Kit (Latest 2016, OBD-II compatible version) lets you improve your car..
MPPS is a chip tuning kit that can download your car's ECU map file to the computer. Which can then..